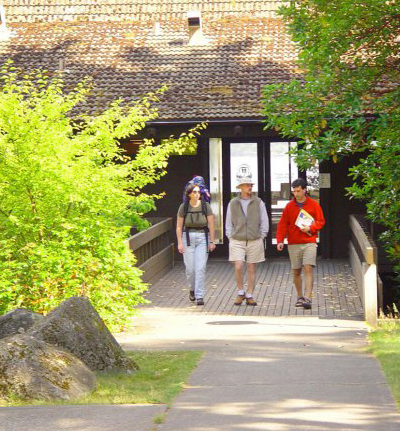 The Helen Riaboff Whiteley Center (HRWC) consists of nine buildings at FHL, located along the shoreline on San Juan Island just north of Puget Sound. The primary building is the H.R. Whiteley Study Building, comprised of four individual studies and a reading room or lounge. 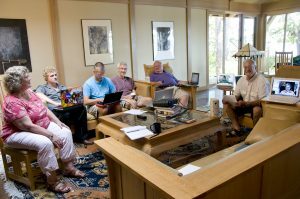 The lounge, a place for interaction with other scholars from the Center and FHL, has comfortable seating before a massive fireplace, connection by short paths with FHL’s library and administration building, and views across the bay to Friday Harbor town and eastward across the channel to the Cascade mountains. Each of the four studies is suitable for individuals or small groups of collaborators. Each is equipped with comfortable chairs, desks, tables, a fireplace and artwork. 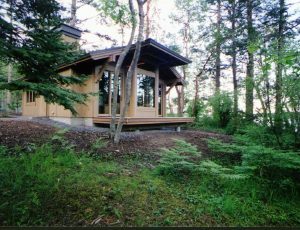 All open out through sliding doors to decks and patios overlooking the harbor and thereby connect to trails along the shore and through the forest. One is equipped with a piano. The studies are wired for ethernet connections to the internet. Wi-Fi is available throughout FHL, including the Whiteley Studies and Cottages. Please do not move the furniture in the Whiteley studies. Moving furniture may result in additional fees. The naming of the studies may be of interest. 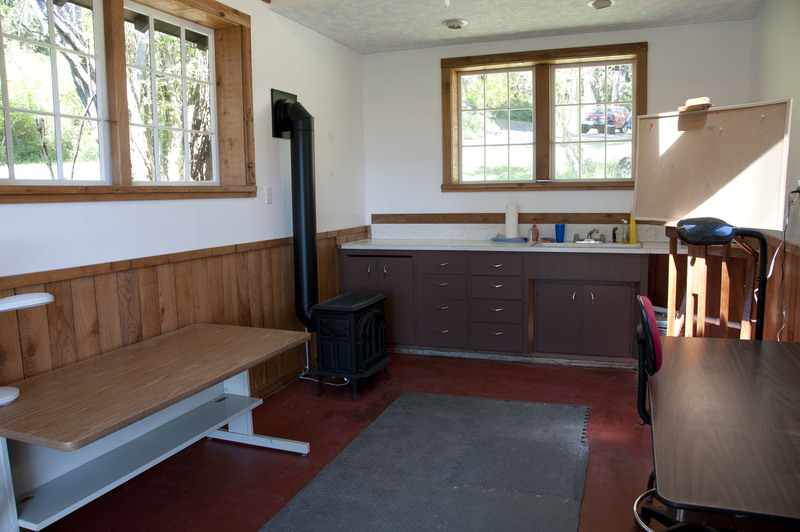 The Macfarlane Art Studio, near the Study Building, is about 15 x 25 feet in size, heated and well lighted with natural and spectrum-balanced electric light. It can accommodate one or two artists at a time. 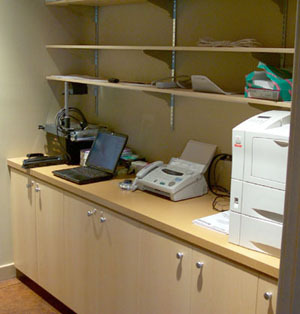 Currently it is equipped with easels, drying racks, a sink, tables, adjustable chairs, and display boards. The Center’s Coordinator welcomes applicants’ suggestions of facilities or supplies that would improve the studio’s utility for their work. A cluster of seven pleasant cottages on the grounds of FHL and near the Whiteley Studies provide living quarters for HRWC visitors. Each enjoys a view of the harbor framed by trees. 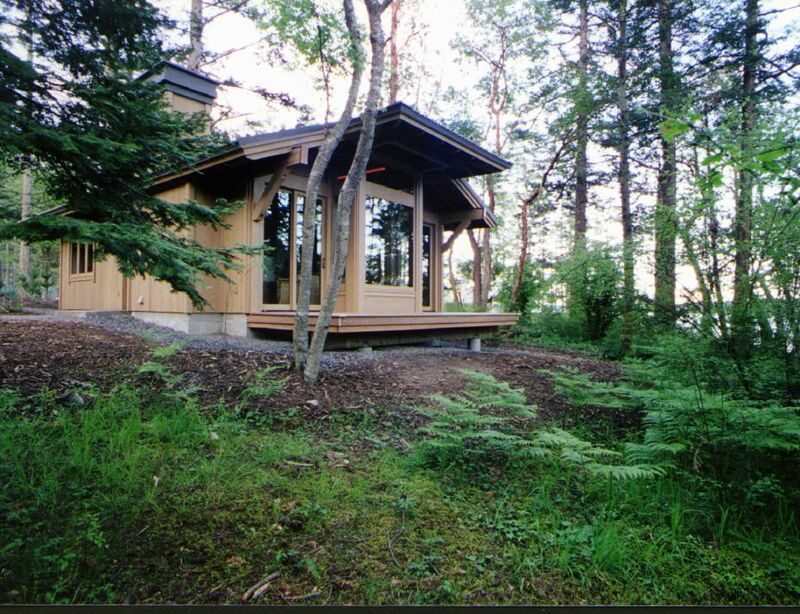 One cottage is equipped for handicap access. To ensure solitude, these cottages are designed for adults, though scholars with children may be housed in another area of FHL. 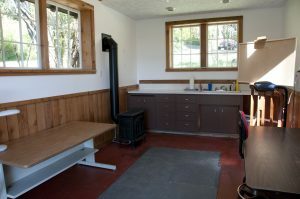 The cottages have full kitchens, though meals may also be obtained at FHL central dining hall (open Spring, Summer and Autumn), providing interaction with researchers and students working at FHL. A number of restaurant options are also available in the nearby town of Friday Harbor and elsewhere on the island. These cottages are equipped with living and dining areas, a fireplace, a deck, a kitchen with essential equipment for cooking and bathroom, and one or two bedrooms. There are no telephones in the Whiteley cottages, but Wi-Fi is available. Radios/clock radios and flashlights are not provided. The naming of the cottages may be of interest. HRWC has a color Xerox laser network printer, the Xerox Phaser 8560. It can be used to print on two sides (duplex) up to a size of 8.5 x 14 inches. Print jobs for A4 paper (common in Europe) will stall the printer, and must be reformated for US-letter paper. Access to the printer is typically via the network (IP printing) but access can be made directly to the printer using a USB cable. Instructions for using the printer are posted above it. We can assist you with the network configuration to the printer. Ordinary mail addressed to you at Whiteley Center, 620 University Road, Friday Harbor WA 98250 will be placed in the mailboxes in the entrance hall of the Fernald Labs. The office staff will sign for express packages and the like (same address, 360-378-2165 for the phone). Two copy machines are available in Fernald Lab in the rear of the library. You will need a personal access code to use them and to be charged for your use. This code may be obtained from the staff in the main office at FHL. A flatbed scanner, connected to an Apple computer, is available for use in the Computer Lab. The scanned images can be written to a thumb drive or CD. FHL and the Whiteley Center share a light-weight video projector, which attaches to the video output of most computers. HRWC scholars can reserve short-term use of this projector in the FHL Stockroom. A high-quality table-top projection screen is available in the printer room of the WHiteley Study. There is a P-180 Leica slide projector in the computer service room for use in the Whiteley Study. There is also a high-quality table top presentation screen that can be used when viewing slides. There is an overhead projector available in the network printer room in HRWC.